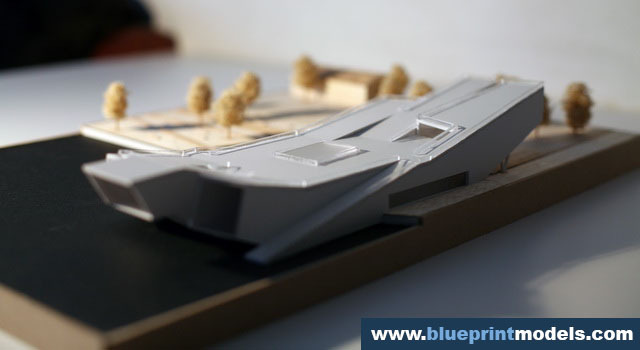 Intricate linings and design is presented in this scale model, a graduation project showing a Navy Museum.Defying the shape of most museums regarding the topic of marine and navy items, this model follows a curved bottom both inclining on both sides in different degree angles resembling a deck of a ship.Connected to the sea, this promotes a more scenic experience for the visitors of museum. 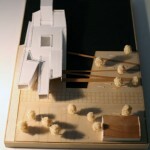 It also showcases an opening at the top of the “deck” for a more actual experience of the scenic view. 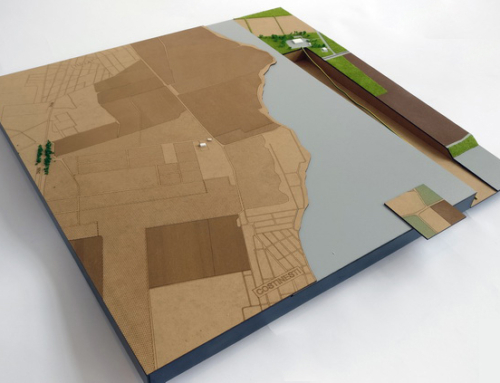 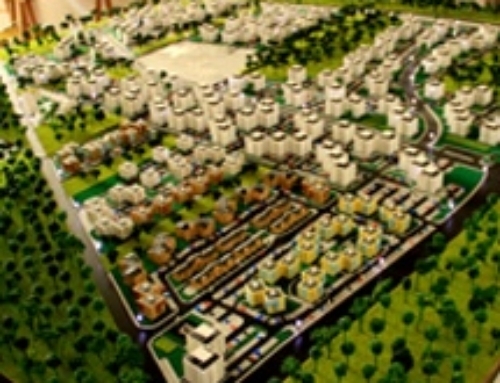 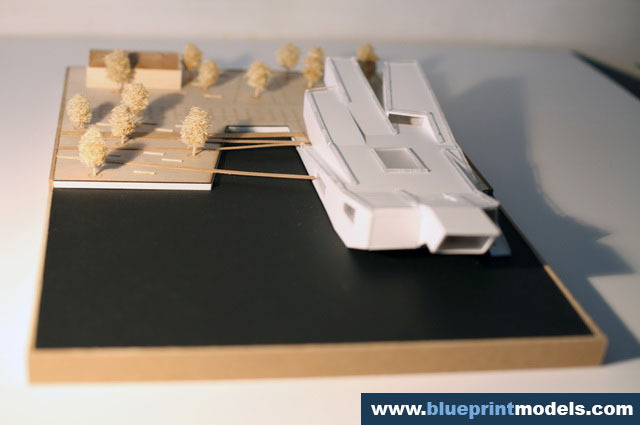 To make the model more realistic, wired trees were inserted in the landscape. 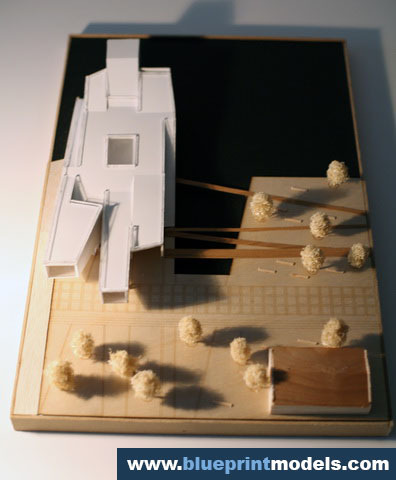 A skylight in the middle of the deck provides the involvement of natural skylight.Several support materials are connected to the structure for safety purposes. 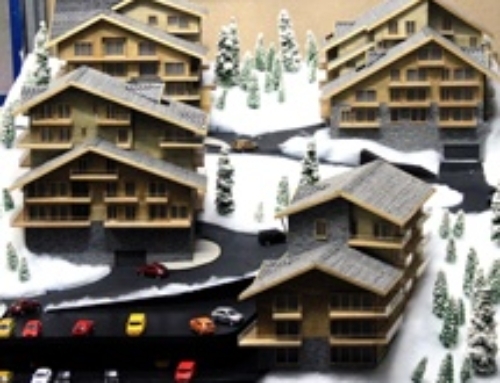 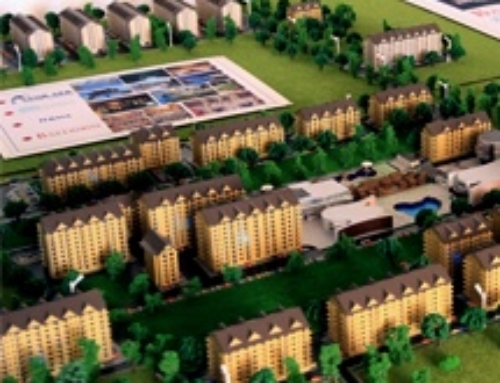 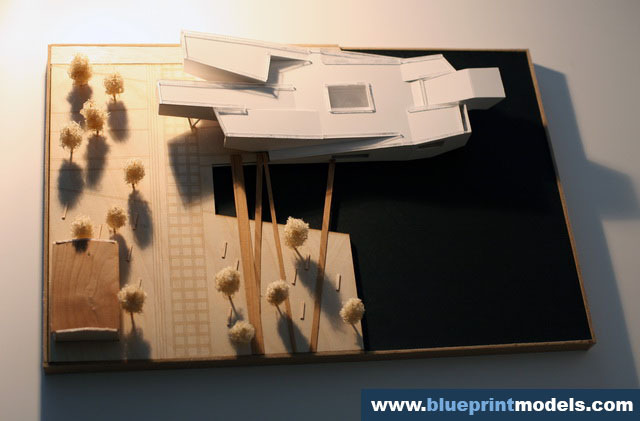 The one-tone color of the model helps this design to be one of a kind.An appealing exterior design showcases unique and outstanding creativity of the creators.It shows that they are ready for their profession. 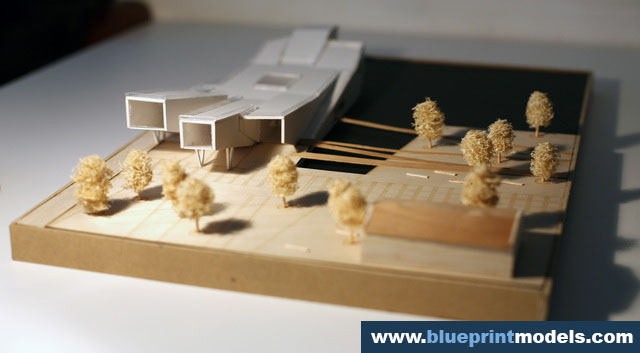 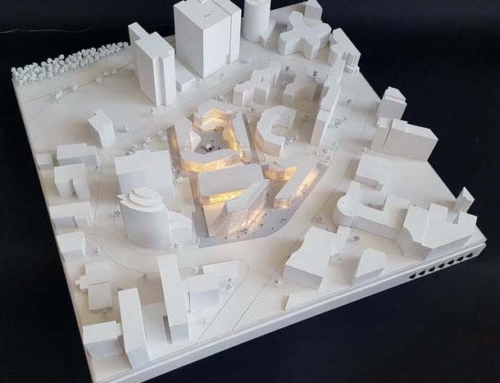 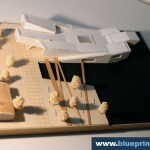 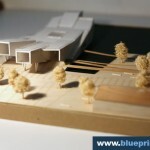 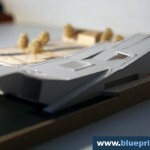 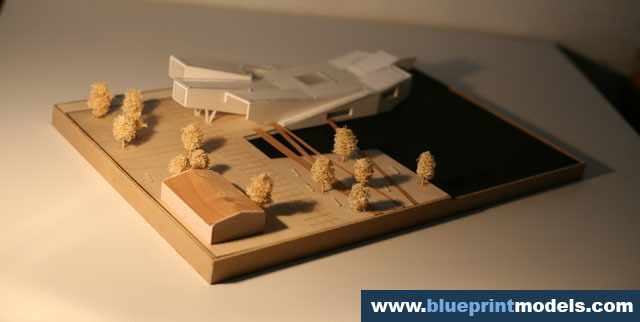 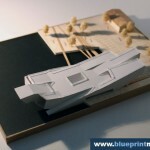 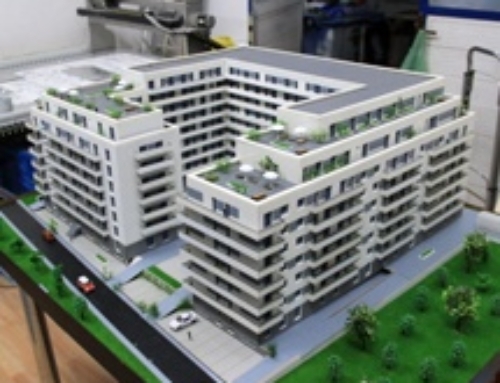 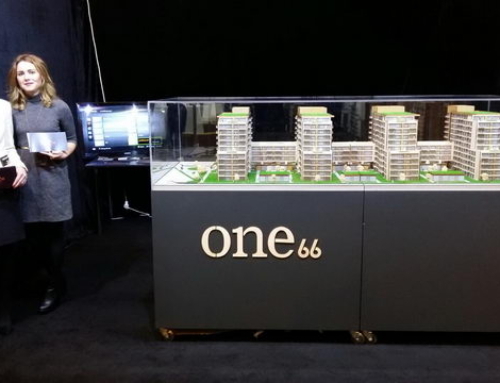 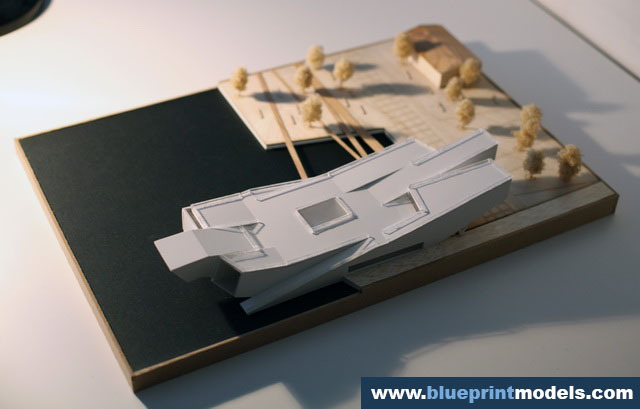 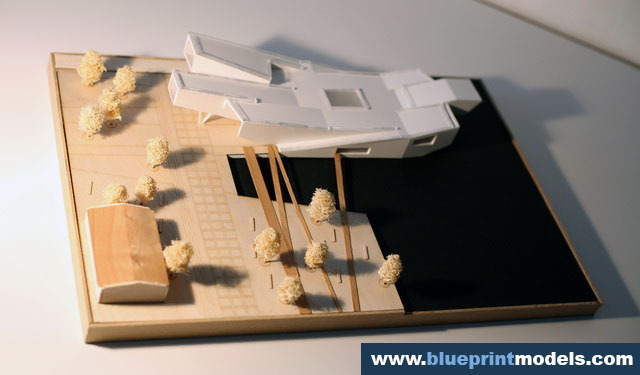 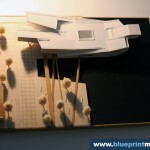 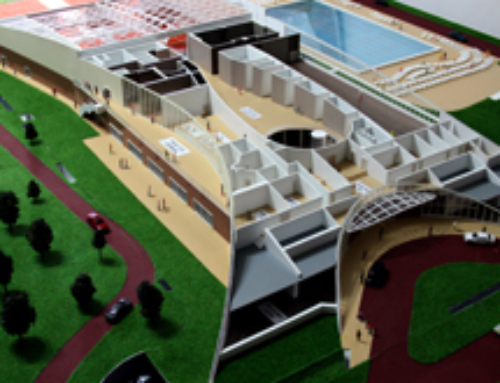 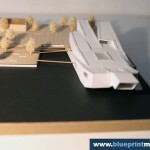 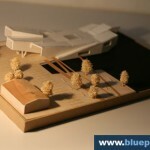 In conclusion, this scale model showcases a creative design of a futuristic minimalist.